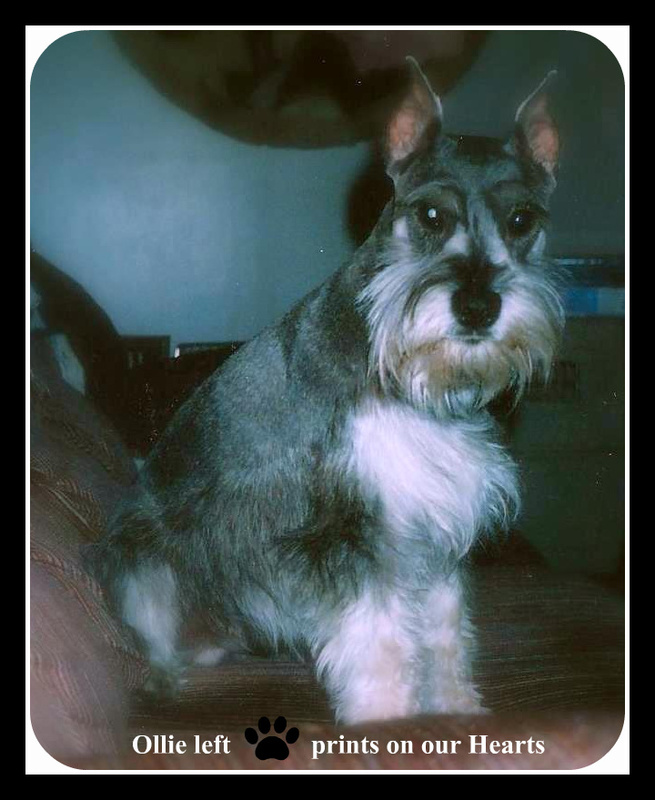 We started off with OneSmallSchnauzer as a pet and ended up with two over 20 yrs ago and loved them so much that we decided to raise some of our own. 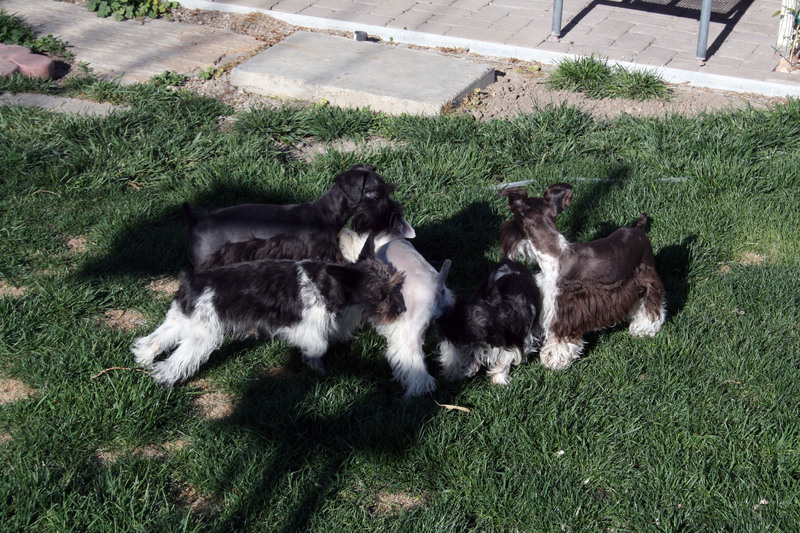 We have several different dog breeds in our home (a few rescue dogs also but only raise and breed Schnauzers) so the puppies are used to a lot going on. Our pictures are taken in our home in the environment the dogs live in so no pictures are set up. This is where they actually are and what they are doing. Our dogs have a doggy door so they can go in and out as pleased with a big backyard to run and play in. Our dogs are our kids, and they always spend time with us in our house...not secluded in an enclosure that they cannot see what is going on outside the area they are in. That is not socializing dogs or puppies...that is someone that is only interested in how much money they can make! I guess they think "The one with the most dogs wins!" What do they win? Money? Money doesn't buy love and happiness! Socializing animals is the most important thing in a dogs life! Our dogs are well socialized from that day you receive your forever home puppy! 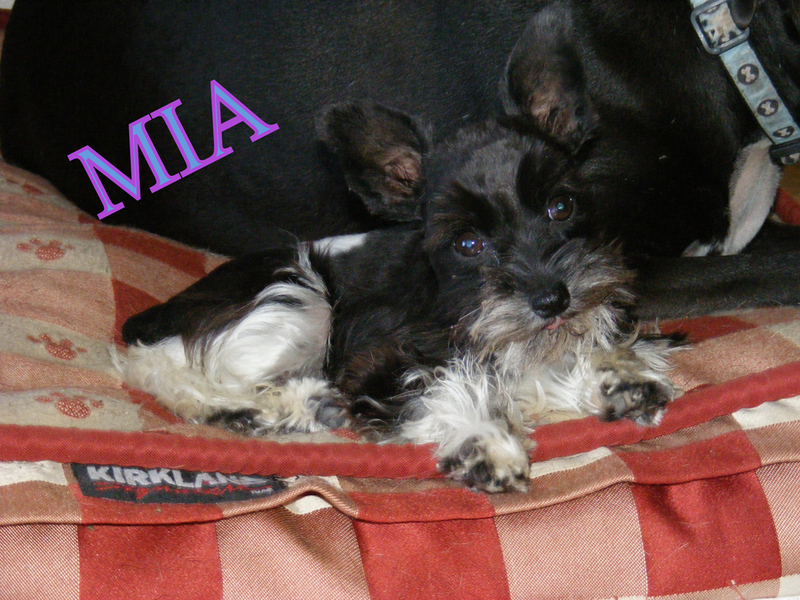 All of our miniature schnauzer puppies are of the highest quality with some of the best bloodlines available in the country. 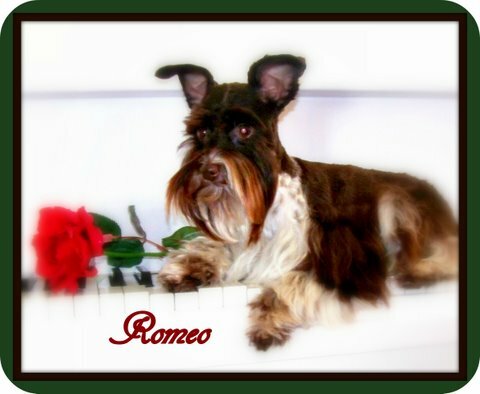 We pride ourselves on offering our customers beautiful, conformationally correct toy teacup schnauzers puppies. 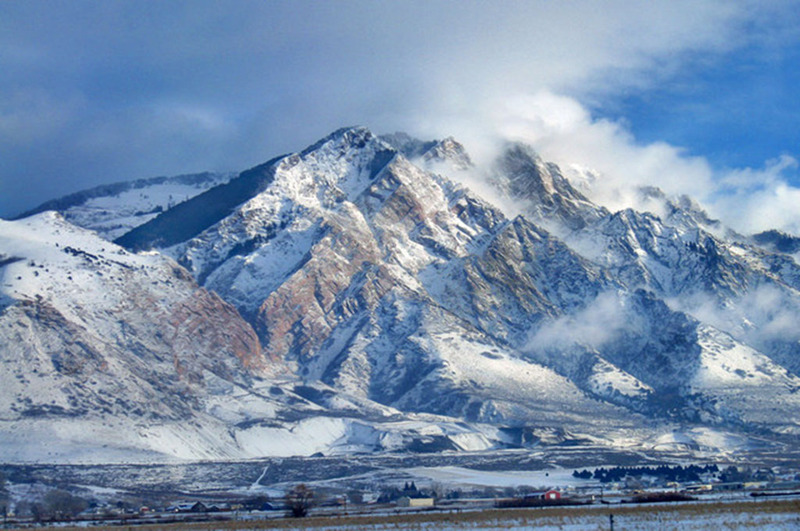 We are located in Northern Utah based under the great Wasatch Mountain range! We have picked our Teacup and Toy Schnauzers from top quality Schnauzer lines so we can produce quality Schnauzers. Snoopy, Ollie, Romeo, Mia....Rest in Peace little buddies!